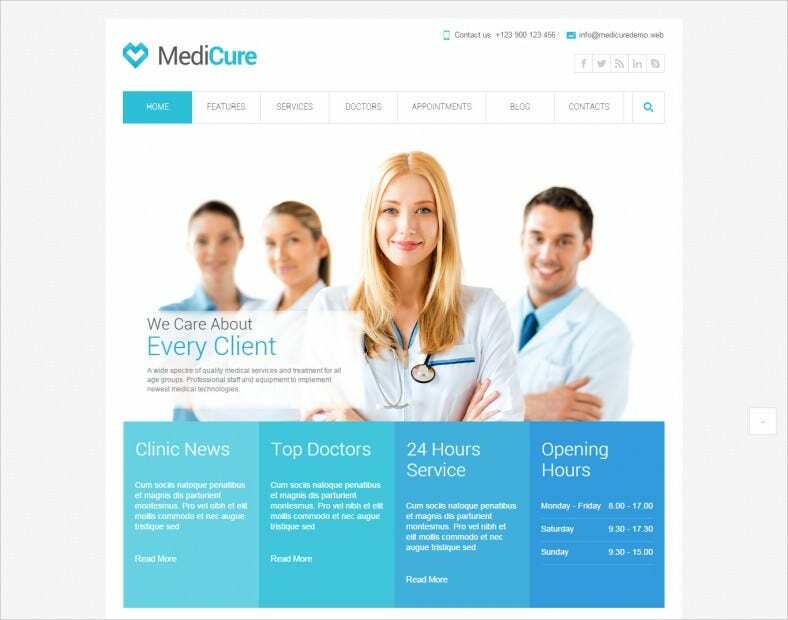 The right website template will help you strengthen the trust that your current clients have in you, not to mention allow your practice to grow in the way that it deserves. 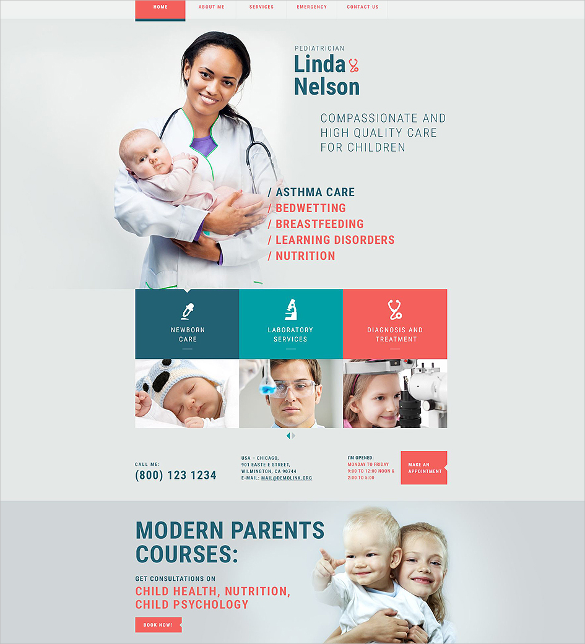 A good online presence can make a huge amount of difference to your health-based company or medical organization, so take a look at these great free medical templates to get started. 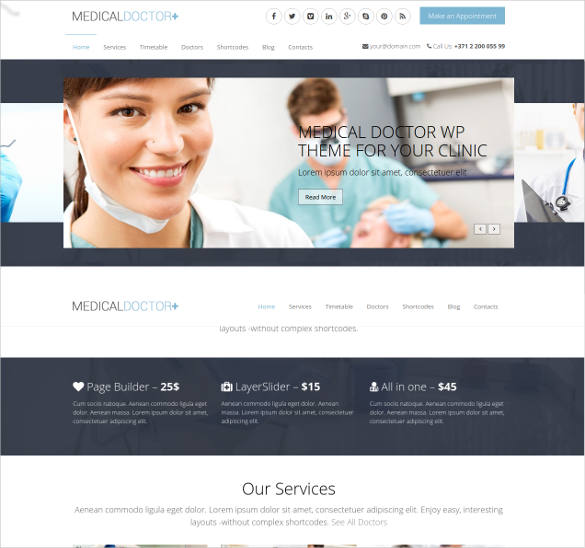 You can also see Medical Drupal Themes. 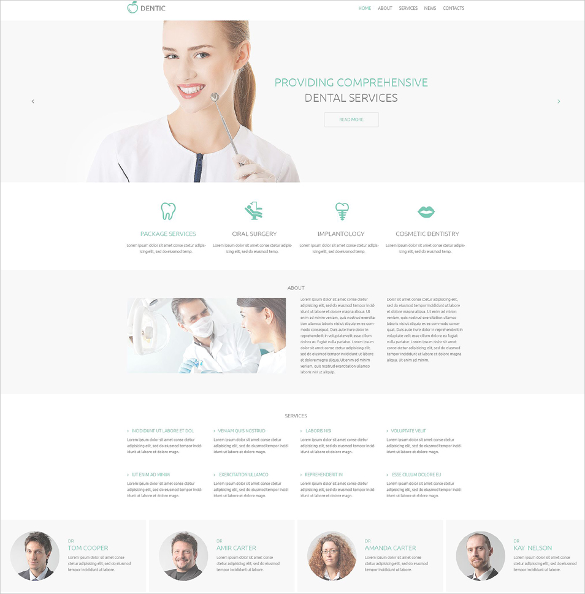 With advanced HTML and CSS coding, Family Dentistry Medical HTML5 Template is ideal to create a comprehensive and responsive website. 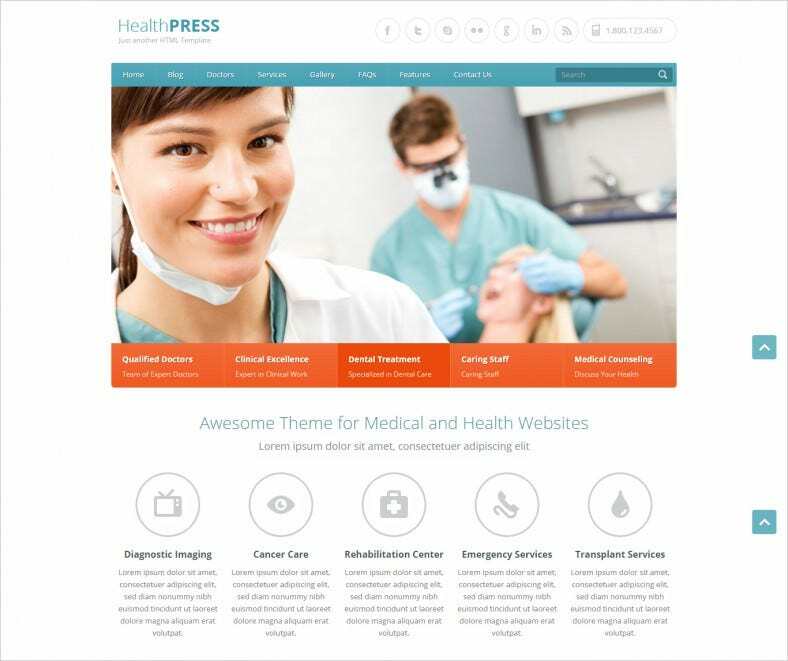 Choose from the plethora of colour variants, layout styles, SEO optimised content, custom widgets etc. 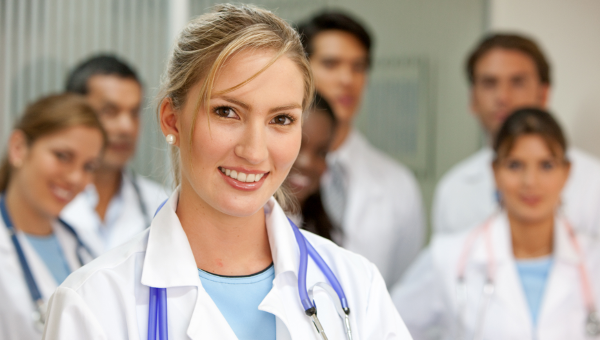 A good online presence makes a big difference. 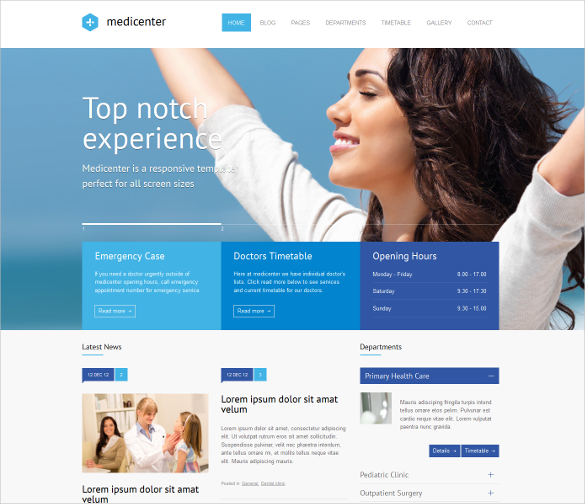 With HTML5 Theme For Medical, get the customised theme with added widgets, plug-in, numerous typography, retina display images. 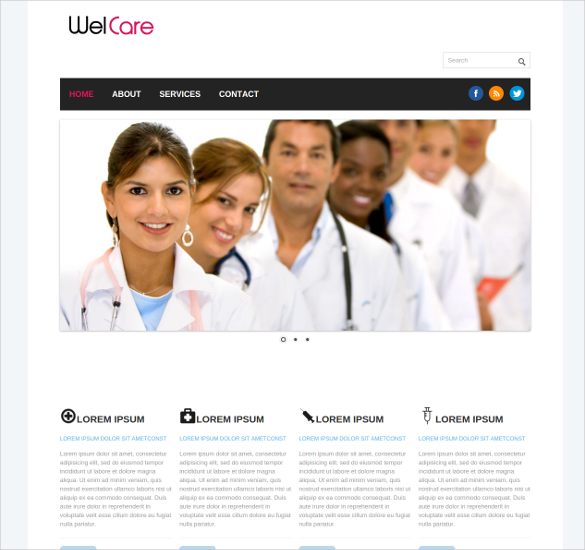 Bootstrap framework makes the management tool easy to install. 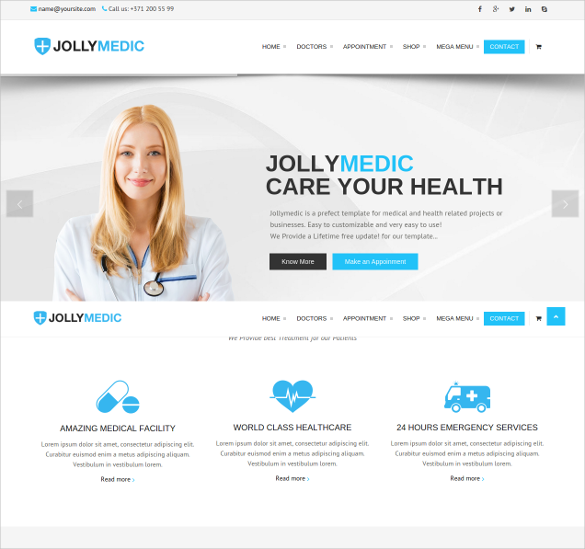 For a fully responsive website integrated with the cool features like customisable widgets, colours, Google fonts, category creation, sliders and headers, filters etc. 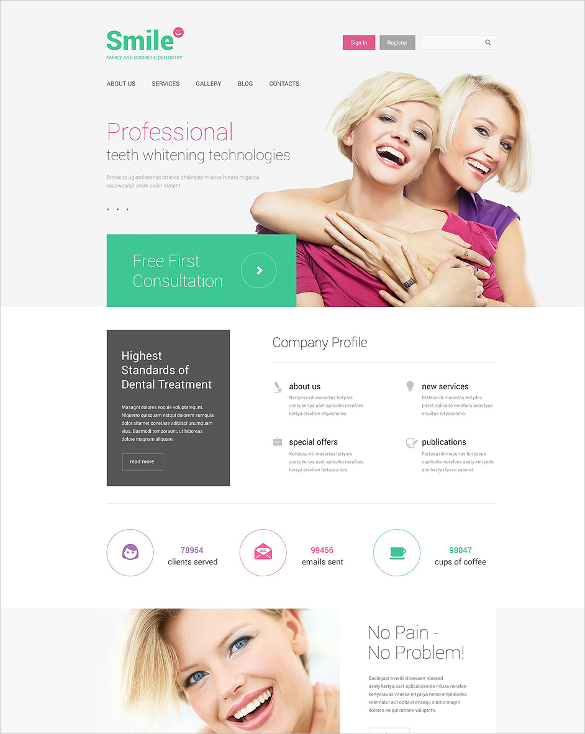 Dentistry Responsive HTML5 Template is a designers’ delight. 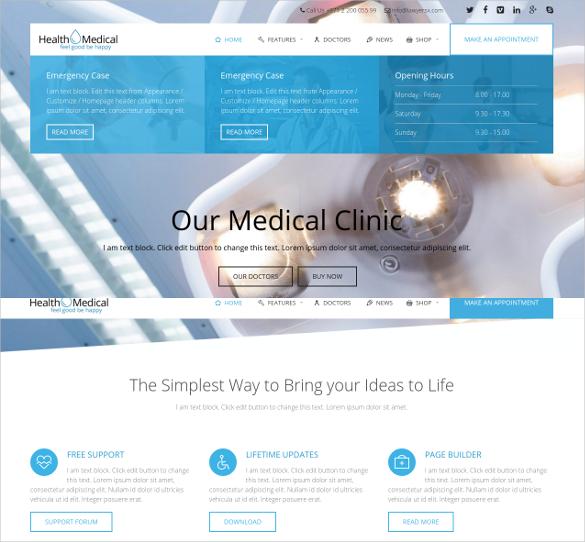 For a comprehensive look of the website, Health & Medical HTML5 Theme is perfect where you can customise to fill in all the required documentation about all the healthcare products and solutions. The add-ons can be customising as well. 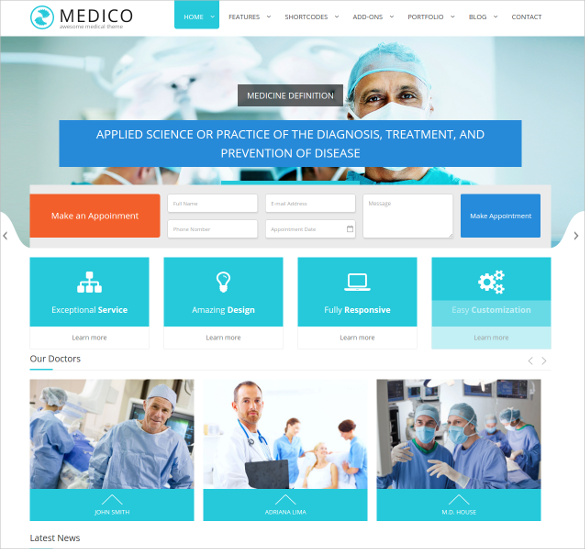 Ready for building the best medical website? 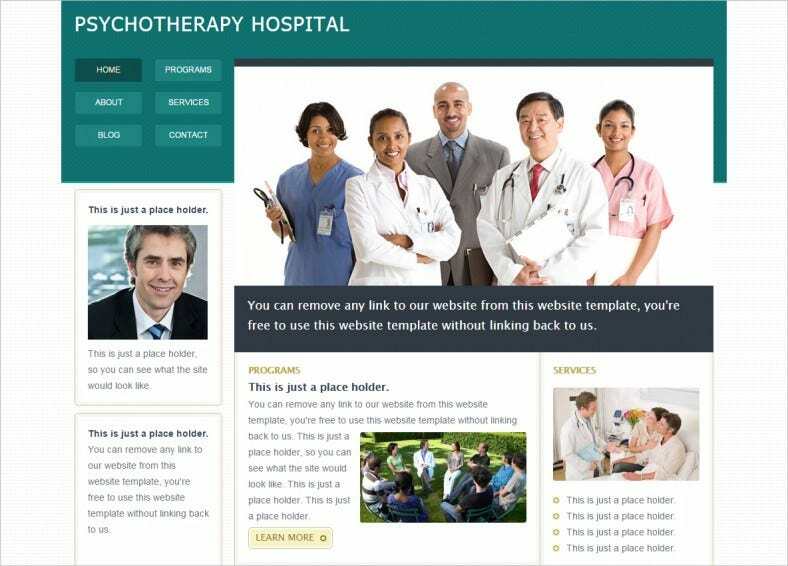 Use Hypnosis Medical HTML5 Template featuring demo content with support staff, customisable layout, advanced CSS and HTML coding, SEO optimised content and multi-browser compatibility. 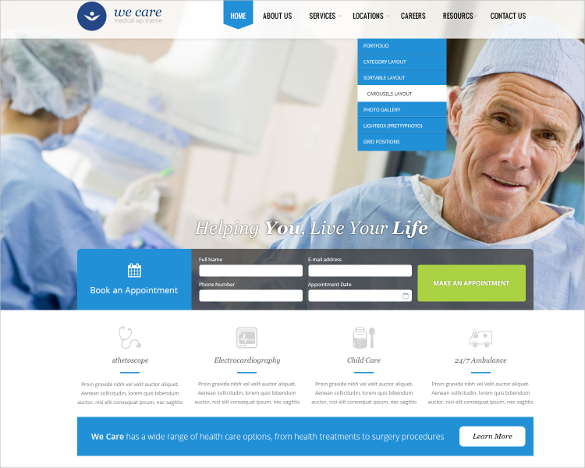 Strengthen your online presence with the right website. 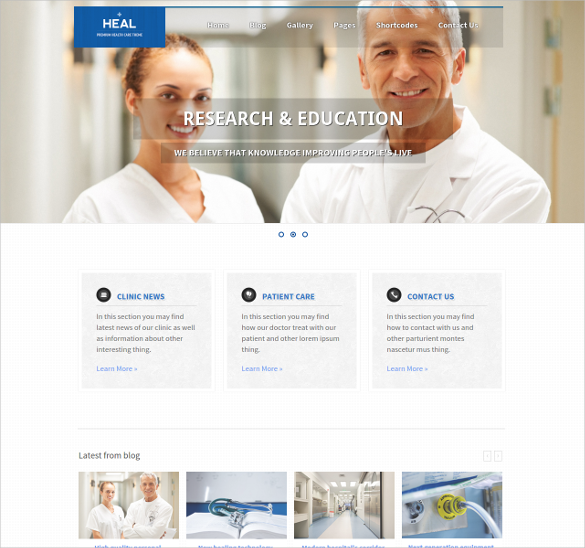 Try Responsive & Retina Medical HTML5 Template – $16 which has mobile compatible features along with 100% responsive layout. Customising colours, sliders, widgets, filters are as easy as water. 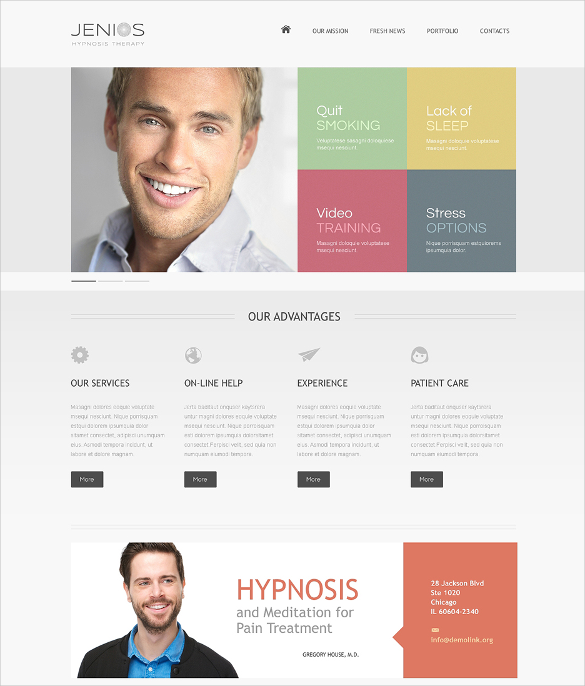 Both the free and premium samples that are 100% responsive, not to mention compatible with mobile devices. Pages of these examples are available for download and print. 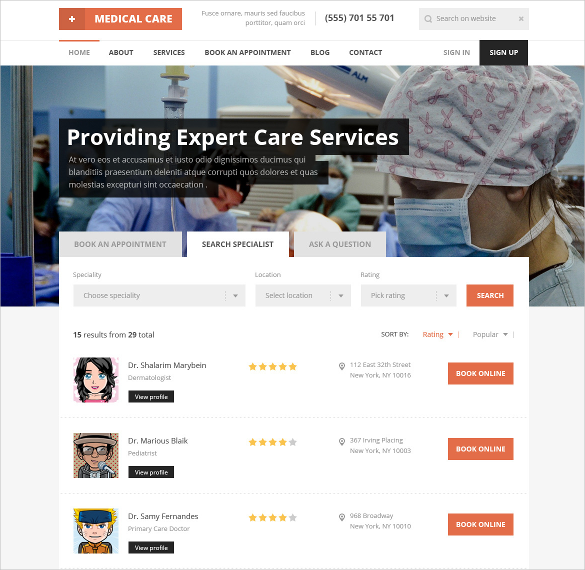 We provide careful and detailed documentation, demo content, and support to help you get started.